Your child needs help in history? Turning history into something fascinating is possible! Why choose a history tutor from School Success? Our experienced advisors take the time to match a tutor to your child's personality and difficulties. Isn't it challenging to remember all those dates and people who influenced our history while making links between important events? Are you having trouble helping your child with their history lessons? Let School Success help you. 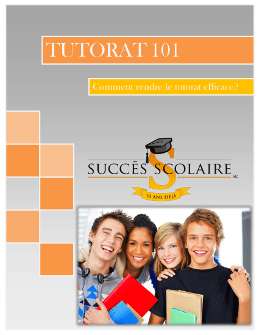 We collaborate with many tutors who are specialized in this subject. Your child is unique: so are our support services. A tutor will, depending on their needs, help with: concepts seen in class that weren't well understood, consolidating what they've learned, their homework, catching-up when they've fallen behind, or with exam preparation. They will also suggest efficient work methods and learning strategies.